When you are looking for the best lodging in Branson during summer season, make it sure that you choose a cabin at the Grand Mountain. Cabins at Grand Mountain are some of the best lodging solution in Branson which are beautifully located in a rustic and tranquil wooded setting around the Ozark mountains. 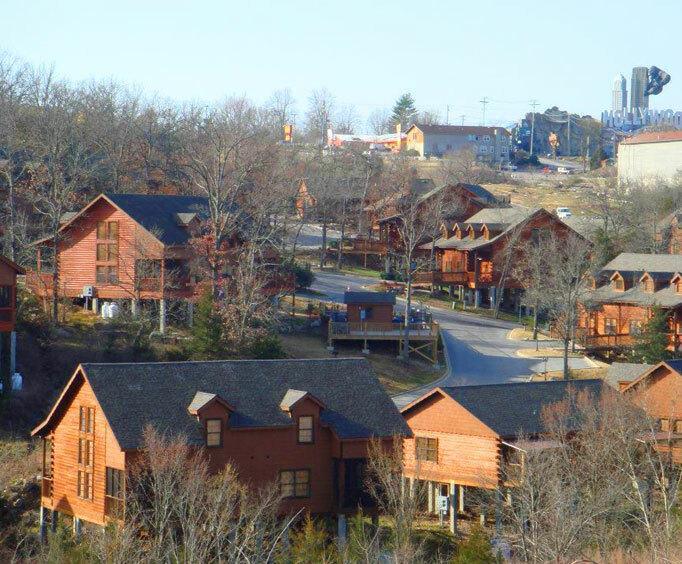 These cabins offer luxury lodging in Branson and provide quality and comfortable living for the whole family. These accommodations are great for guests who prefer to stay in fully-furnished cabin located in a secluded area and feature stunning wildlife sceneries. For those who love night life, don’t worry about its location in a secluded place, because it is actually near the heart of Branson and just a few minutes away from the Strip. The great location of the cabins at the Grand Mountain features pristine scenery, unspoiled nature, clean and crystal clear waters of the lake, and a beautiful wildlife. These cabins offer vacationers luxurious and comfortable living but affordable accommodation. Staying in a cabin at the Grand Mountain, gives you the opportunity to experience good old hospitality in the Ozarks. While the place is near the Thousand Hills Golf Course, you can always have the chance to play with its most popular 18 hole golf course. In this golf course, you will be given preferential tee times. The cooler atmosphere that you can enjoy during summer in this secluded location is one of the reasons why many guests choose to stay in a cabin. Spending a cool summer vacation lodging in Branson is a great way for the family with kids to escape from the heat of the sun. Millions of visitors flock to Branson every year and stay in a cabin to enjoy the cooler surrounding and the nature’s beauty where you’ll find it fascinating to hear the bubbling of the creek nearby and the tweets of birds on trees. The location of this cabin accommodation is also ideal for families who want to spend exciting water activities as the place is just minutes away to the pristine lake with clean and crystal clear waters. The cabins at the Grand Mountain feature the best package that include many modern amenities and a beautiful view of the serene lake and wildlife scenery on the lakeside that you can see while enjoying your morning coffee from the outside porch of your cabin. Many people think that the cabin accommodation at the Grand Mountain does not bring convenience and comfort. Not with the cabins at the Grand Mountain as they feature a beautiful design with high-end amenities that include cable TV, free wireless internet access, DVD players, Jacuzzi tubs, and rain showers. These cabins have also screened porch allowing guests to view the beautiful wildlife scenery. The kitchen of each cabin is fully furnished with modern appliances including dishes, and other kitchen wares and utensils. So, if you want to stay in the coolest summer vacation lodging in Branson, be sure to choose a cozy cabin accommodation at the Grand Mountain.